Bound for a remote planet on the far side of the galaxy, members of the colony ship Covenant discover what they think to be an uncharted paradise. While there, they meet David, the synthetic survivor of the doomed Prometheus expedition. The mysterious world soon turns dark and dangerous when a hostile alien life-form forces the crew into a deadly fight for survival. 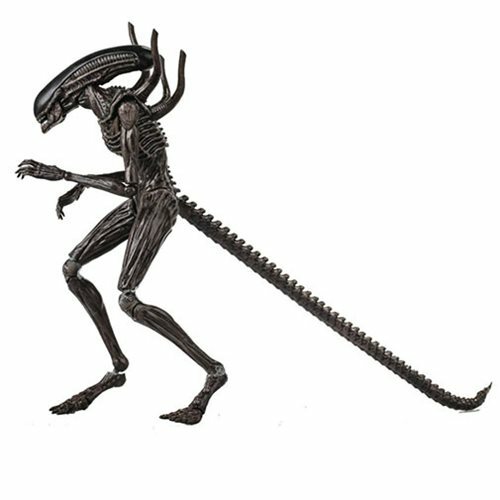 This fully articulated Xenomorph from Alien: Covenant stands 4-inches tall and comes with a display stand, 4x sets of hands and 2x interchangeable heads! Ages 15 and up.